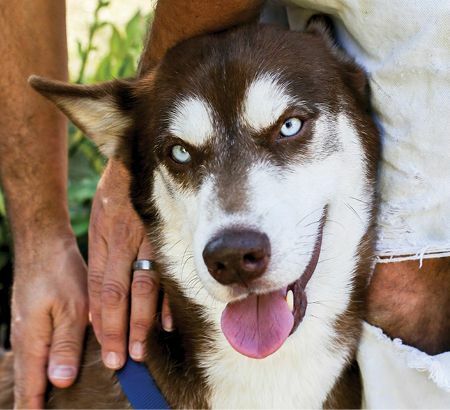 When a blue-eyed husky named Sinatra went missing 18 months ago, Brooklyn resident Lesmore Willis wondered if he’d ever see his beloved pet again. But just when he’d given up hope, Willis received a Facebook message from a woman in Tampa, asking if he’d lost a husky. Sinatra had been found wandering her neighborhood, she said, and his chip indicated Willis might be the owner. How Sinatra made his 1,200-mile migration south is still a mystery. But Willis was overjoyed to be reunited with the dog, a favorite of his daughter, Zion, who died at age 16. “It really feels like getting a piece of her back,” Willis said.